The Alumni Association Awards and Athletic Hall of Fame Ceremony occurs on the Friday during Homecoming and Reunion Weekend in October. During the ceremony, K alumni and friends of the College gather to recognize those who have brought honor and distinction to Kalamazoo College through their accomplishments, service, and achievements. 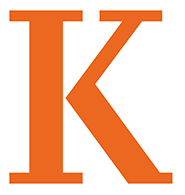 The award recipients represent, through their personal and professional accomplishments, the lasting value of Kalamazoo College – More in Four. More in a Lifetime.® Nominate a K classmate, friend of the College, or current or retired employee for an award. Emeriti Club Citation of Merit Award This award is presented on Homecoming Saturday at noon.